Alright, looks like you have all the dependencies set up and your own webgme server running! 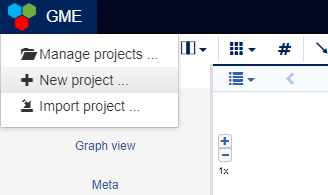 In order to get familiar with how modeling is done in webgme and what the different panels do, you need to create a project. If this is the first time you visit your deployment and there currently aren’t any projects available, you should see a modal window titled Projects. Select a suiting name for you project, why not ElectricalCircuits, and proceed with the instructions. You should create a project from a seed and select the EmptyProject from one of the Template Files. After this step you should have an “empty” project containing only the FCO and the ROOT node. Every webgme project contain these and they cannot be removed. (Looking back at the terminology page you’ll see that these are the roots of the inheritance and containment trees respectively, and since both of these are strong relationships, the removal of any of these would remove all other nodes). 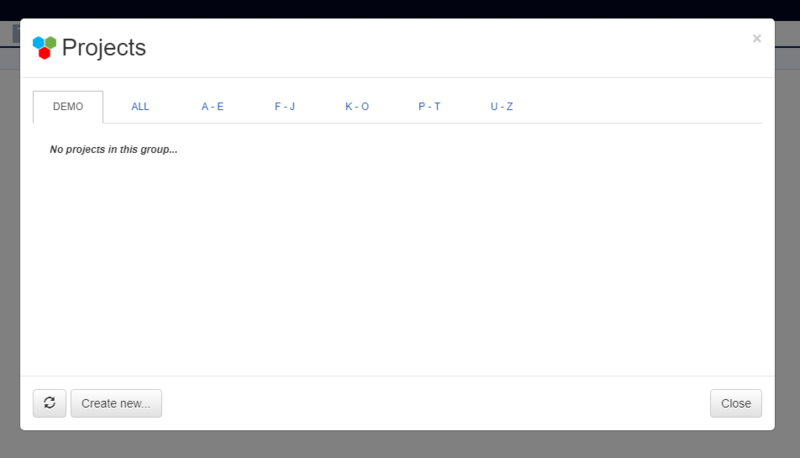 The Composition tab in the Object Browser shows all the nodes in our project-tree. Note that authentication is currently not turned on your deployment and every user will be identified as the guest.